The Unassuming Economist | Are Australia’s House Prices Overvalued? 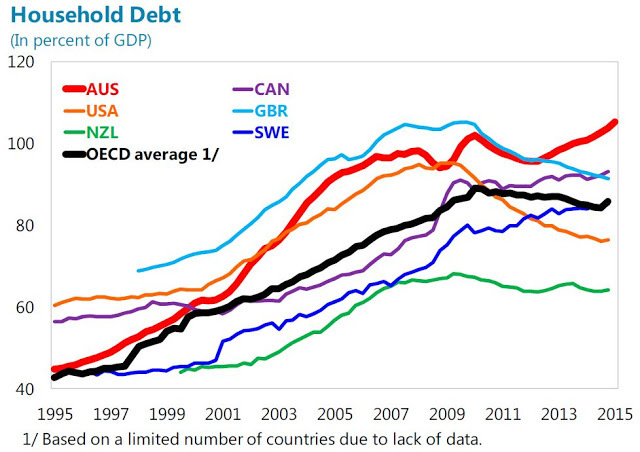 Are Australia’s House Prices Overvalued? 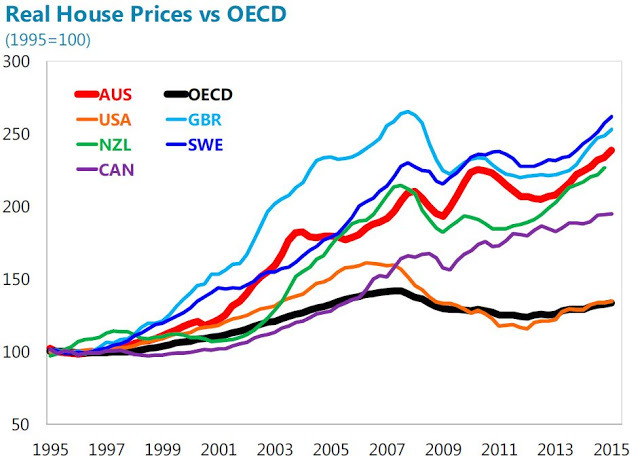 “House prices in Australia have increased strongly over the past two decades, including by comparison internationally. Thus house prices are often argued to be overvalued. Many counter-arguments have been put forward for why such measures are flawed. We argue that house prices are moderately stronger than consistent with current economic fundamentals, but less than a comparison to historical or international averages would suggest”, according to the IMF special report on Australia’s housing market. Bottom line: Price-to-income ratios have risen across all measures in Australia and are now near historic highs. However, international comparisons of price-to-income ratios suggest that Australia is broadly in line with comparator countries, although significant data comparability issues make inference difficult. Bottom line: Lower nominal and real interest rates and financial liberalization are key contributors to the strong increases in house prices over the past two decades. The various house price modeling approaches indicate that house prices are moderately stronger (in the range of 4-19 percent) than economic fundamentals would suggest. Bottom line: housing supply does indeed seem to have grown significantly slower than demand, reducing (but not eliminating) concerns about overvaluation. Bottom line: The two most populous cities, Sydney and Melbourne, have seen strong house price increase in recent years, including in the investor segment. A sharp downturn in the housing market in these cities could be expected to have real sector spillovers, pointing to the need for targeted measures –including investor lending-to reduce the risks related to a housing downturn. Bottom line: While lending standards overall seem not to have loosened, the growing share of investor and interest only loans focused on the highly-buoyant Sydney market, is a pocket of concern. Bottom line: While bank capital levels are likely sufficient to keep them solvent in the event of a major fall in house prices, they are not enough to prevent banks making an already extremely difficult macroeconomic situation worse.